Home / fire / Fire! 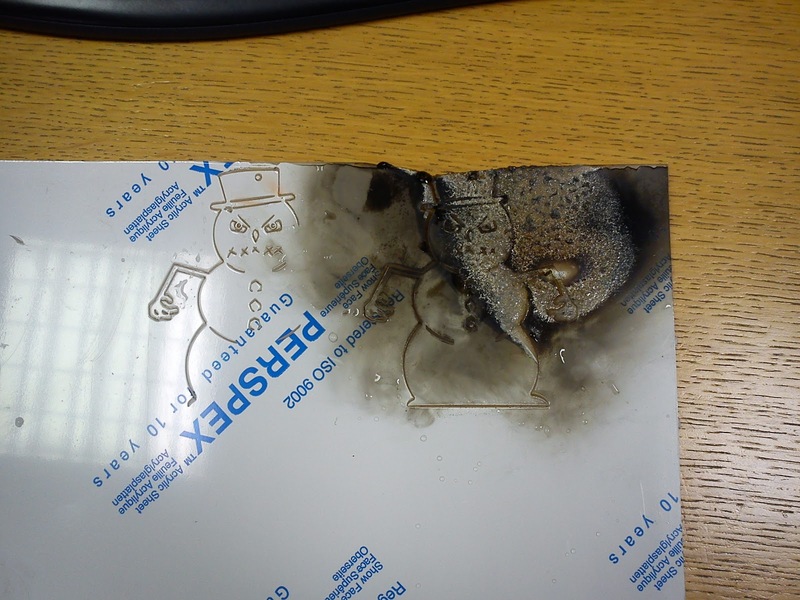 Post one – proof that fire is a real issue with a laser cutter! Cause – not paying enough attention and using acrylic risers with a sheet that requires a low speed and high power. One was right below a technical section on the evil snowman and whoomph – FIRE! lesson learnt.